As Retailers expand the implementation of item-level RFID, how do suppliers meet the requirements placed on them for source tagging? Initiatives by retailers’ to-date have largely been focused on inventory management of specific products and tagging of the items done in the DC or store. But as retailers go beyond modest-scope goals and tagging of specific items such as shoes, bras and denim the shift to source tagging by retail suppliers will continue to grow. 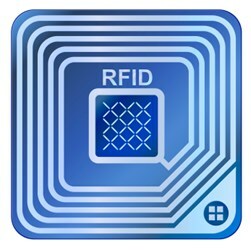 In 2012 over one billion apparel items were RFID tagged. The ROI and rollout plan for each retailer varies, but the key objectives have largely been basic inventory management to improve inventory accuracy, reduce out-of-stocks and increase sales. The future of in store shopping will be based on item level RFID which means ever growing demand for source tagging by suppliers. Retailers are looking to RFID to improve the overall customer experience. Consumers of the future will demand that the in store shopping experience combines the benefits of online shopping with the inherent benefits of touching fabrics and how the chair feels when you sit in it. As stated by Danika Manchester, Director of Business Development Nexgen Packaging “RFID for Retail is exploding – expanding past current supply chain and inventory applications into consumer experience in a way that benefits everyone - the consumer, retailer, and the brand.